Canada lost one of the greatest war heroes of its young history. 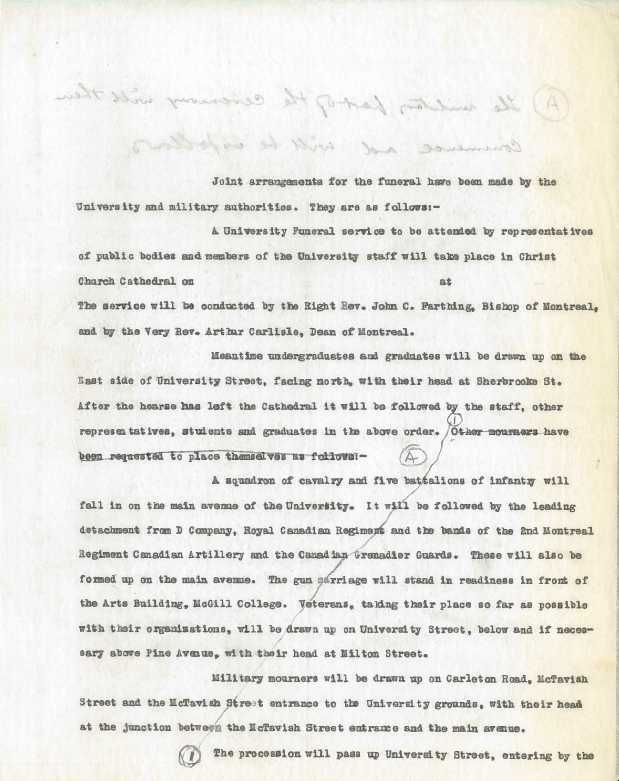 On this centennial of the end of the Great War, it is important to look back and reflect on our university’s heritage in wartime. 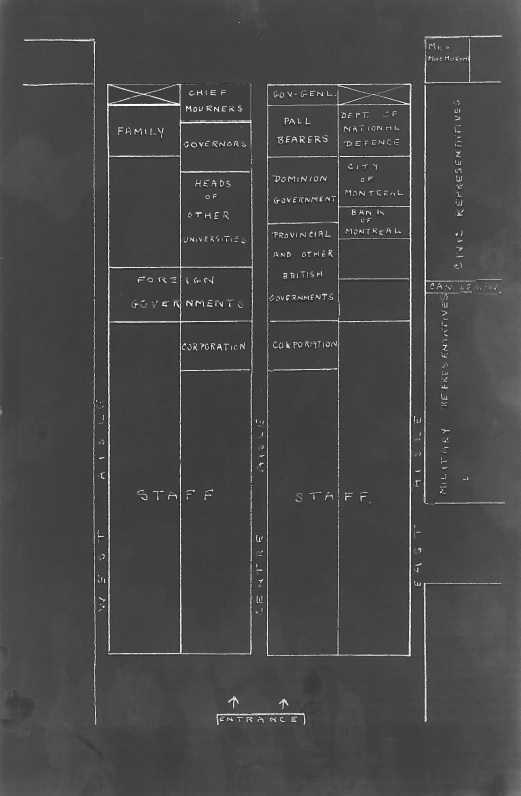 McGill’s involvement during wartime has been crystallized around one central figure: Sir Arthur Currie. He left a lasting imprint on Canadian Military history by leading the Canadian forces to victory in World War I. Currie also showcased his management and academic skills as McGill University’s Principal from 1920 until his death in 1933. Being ill for months, Sir Arthur Currie, suffered a deadly stroke at the age of 57 in Montreal. According to Robert Borden, Prime Minister of Canada from 1911 to 1920, his funeral that took place on December 5th was by common consent: the most impressive ever seen at Montreal. 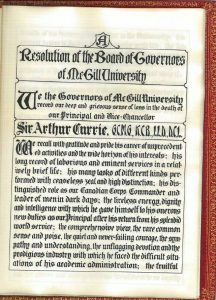 We are lucky here at McGill University Archives to hold Sir Currie’s archival fonds which contains material about both his military and academic career. Guts and gaiters. What an intriguing nickname for a man who has been described as one of the best tacticians in Canadian military history. His cold-thinking, rational, pragmatic attitude has been one of the Allied forces most valuable asset during the Great War. Currie began his military career in 1897 as a gunner with the 5th Field Artillery Regiment in British Columbia. He worked his way up in the Canadian army until the Great War broke out in 1914. His command of the Canadian troops as a brigade officer during the Battle of Ypres in 1915 (where poison gas was first used) earned him widespread recognition. 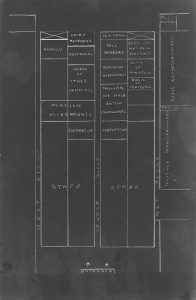 In 1917, he rose to the rank of Commander of the Canadian Corps where he would lead the Hundred Days Offensive, a series of battles that would help the Allies win the war and subsequently give credibility to the Canadian corps. However, there is controversy about the necessity of the attack on Mons (France) which costs hundreds of Canadian lives at the very end of the war. This affair put forward by Sir Samuel Hughes and supported by the Port-hope Evening Guide newspaper will escalate in a libel suit that Currie will win against Hughes in 1927. Even with this contentious matter in mind, it seems clear that Guts and Gaiters’ legacy will remain one of abnegation and tactical genius. 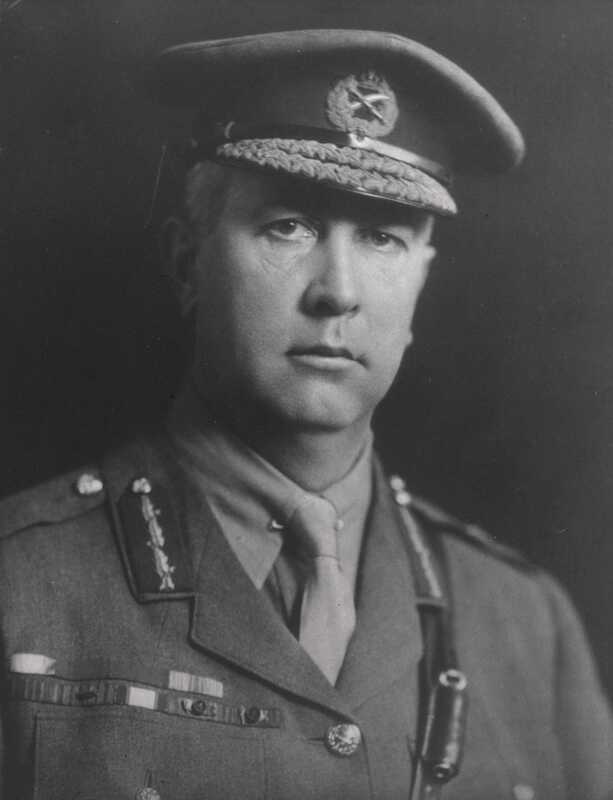 Sir Arthur Currie held the position of McGill’s principal from 1920 to 1933. During his tenure, he established himself as an extremely competent manager and a true leader. 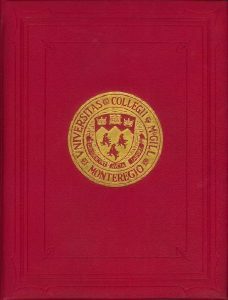 Under his influence, McGill University established various faculties (Music, Graduate Studies and Research), and largely increased its income. 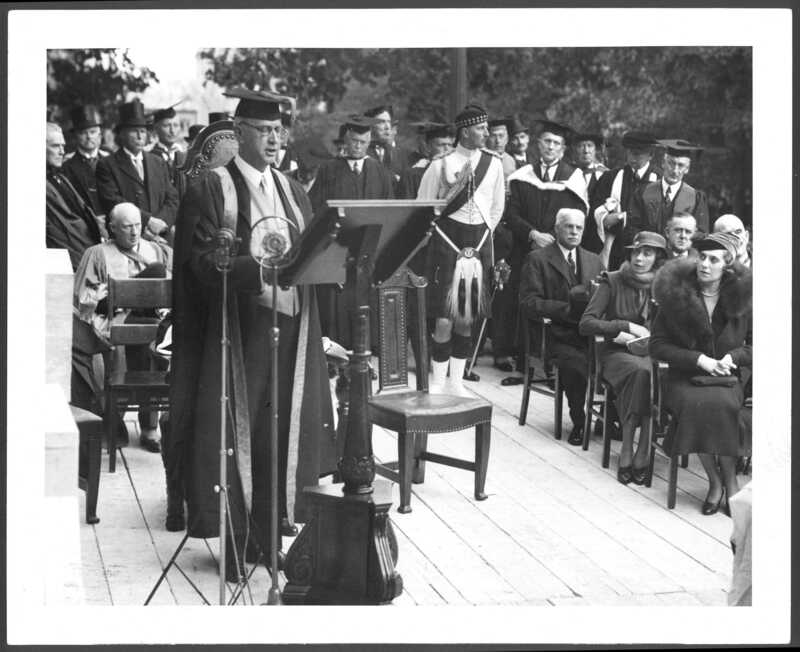 Currie himself travelled extensively across the country to raise money for the University. He also made donations and Cparticipated in various philanthropic institutions, like the Montreal Anti-tuberculosis league or the General Health League. Sir Arthur Currie’s health declined over a few months before leading to his death in November 1933. In his fonds there is abundant correspondence of friends, university colleagues and members of the Canadian Officers Training Corps wishing him a speedy recovery. 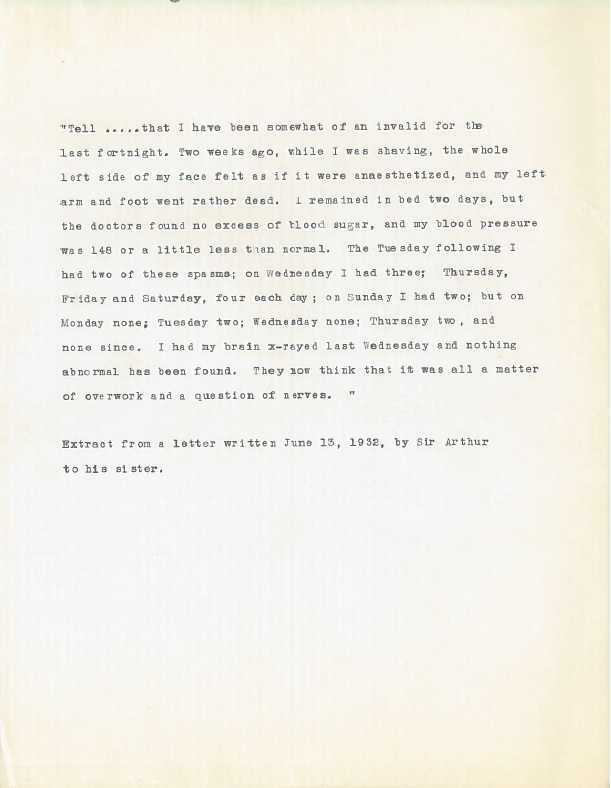 There is also a letter written in 1932 by Currie to his sister about his health concerns. We know that Arthur Currie suffered a series of strokes that left him weakened. 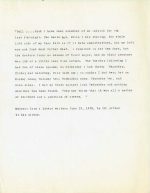 This letter confirms that one year and three months before his death, Currie’s health began to decline substantially even by his own account. 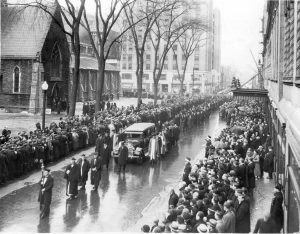 The funeral of Arthur Currie was unlike any other funeral the country had seen at the time. Of course, Currie was well-known to the Canadian population but he also had important academic, military, business, diplomatic and philanthropic ties worldwide. The list of the attendees to his funeral is long, diverse and frankly impressive. Consul generals, ambassadors, university principals, high-ranking army officials from across the globe (including New Zealand and Japan! ), Canada’s governor general, mayors from all across the country, and the list goes on and on. 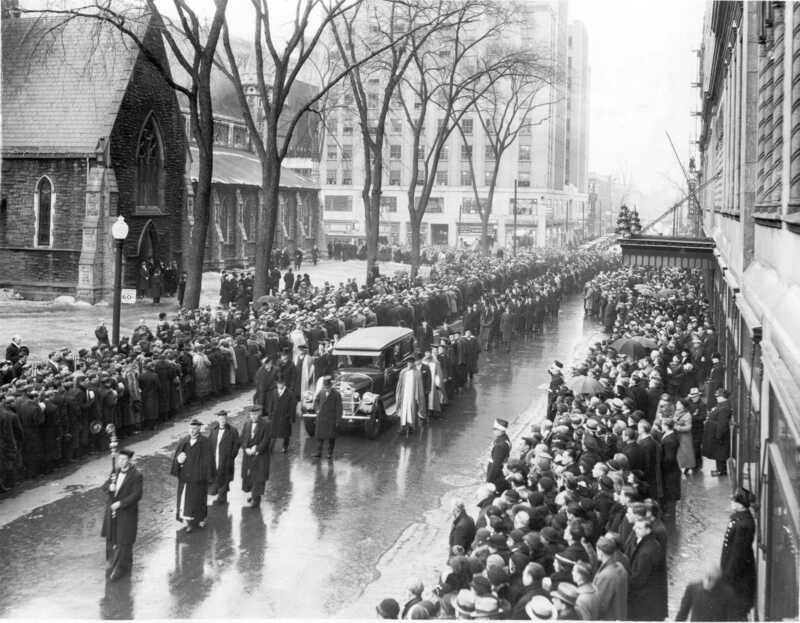 The funeral procession started at McGill University, stopped at Christ Church Cathedral in downtown Montreal where the funeral service was held and finally ended at Mount Royal Cemetery. The organization of the ceremony was handled by T. H Matthews, the head of Registrar, who went at great lengths to achieve an efficient and functional international event. 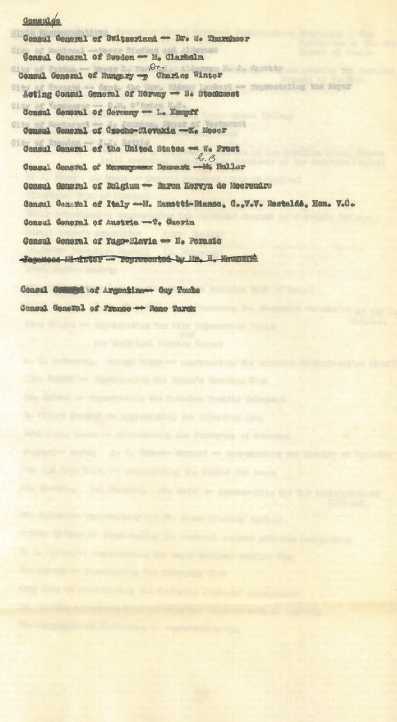 According to Melissa Davidson in “Acts of Remembrance: Canadian Great War Memory and the Public Funerals of Sir Arthur Currie and Canon F.G. Scott”(2016), thousand of Montrealers swamped city streets to follow the procession and the Canadian Radio Broadcasting Commission broadcasted the ceremony over the radio. 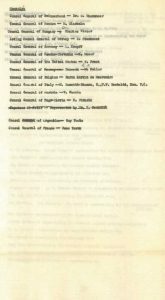 Many documents highlight the tremendous efforts deployed by McGill University staff in organizing Canada’s greatest funeral. 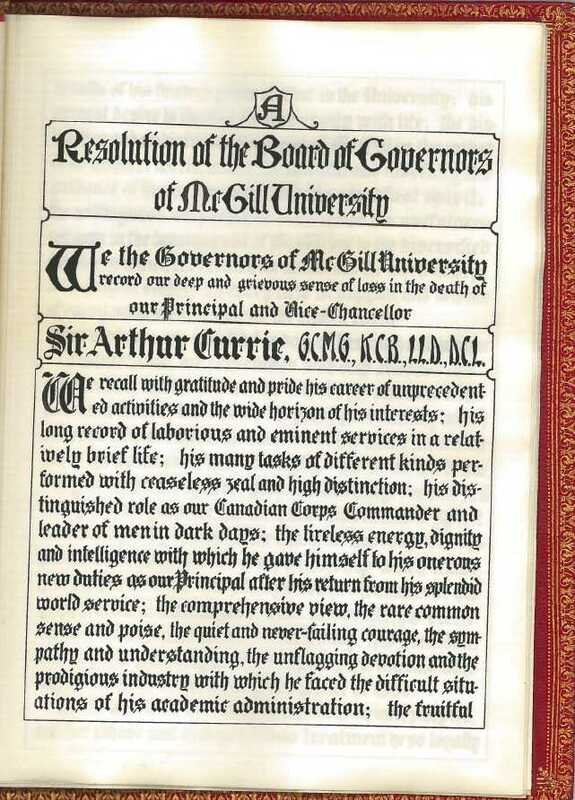 Also, a tribute from his fellow colleagues speaks eloquently of Sir Currie’s legacy at McGill University. 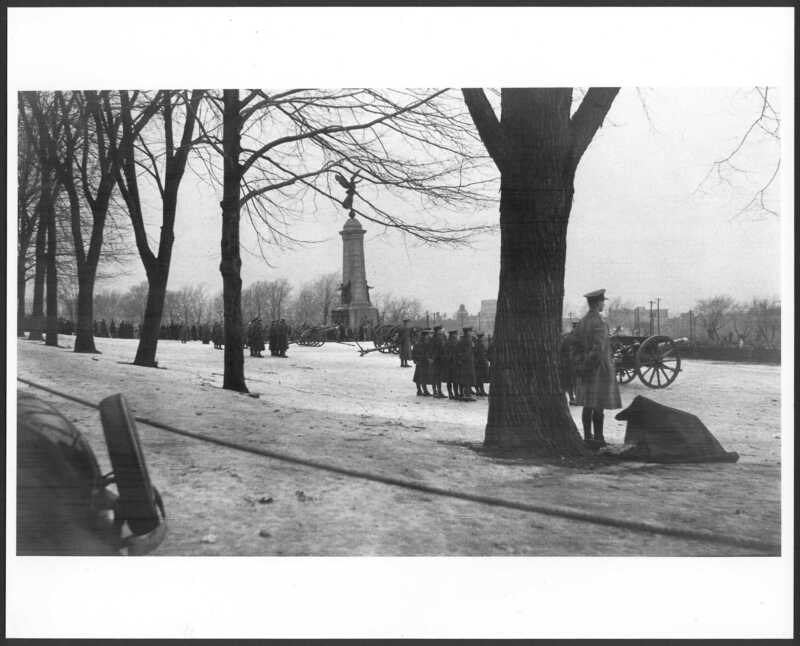 This remembrance booklet can be found here at McGill University. McGill University Archives has collected and secured many films of the University’s history. 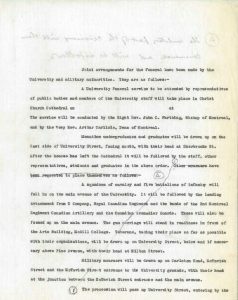 We happen to hold a reel-to-reel tape film of the procession of Arthur Currie’s funeral in 1933 which is a very rare, fragile and valuable document.